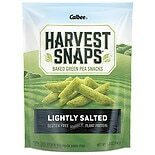 Shop Calbee Snack Salad Snapea Crisps Original (3.3 oz. )3.3 oz. 2 for 3 dollars and 00 cents or 1 for 1 dollars and 99 cents 2/$4.00 or 1/$2.29 $0.60 / oz. 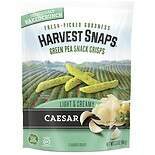 Shop Calbee Snappea Crisps Caesar (3.3 oz. )3.3 oz.